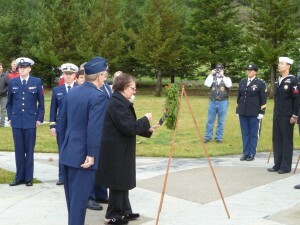 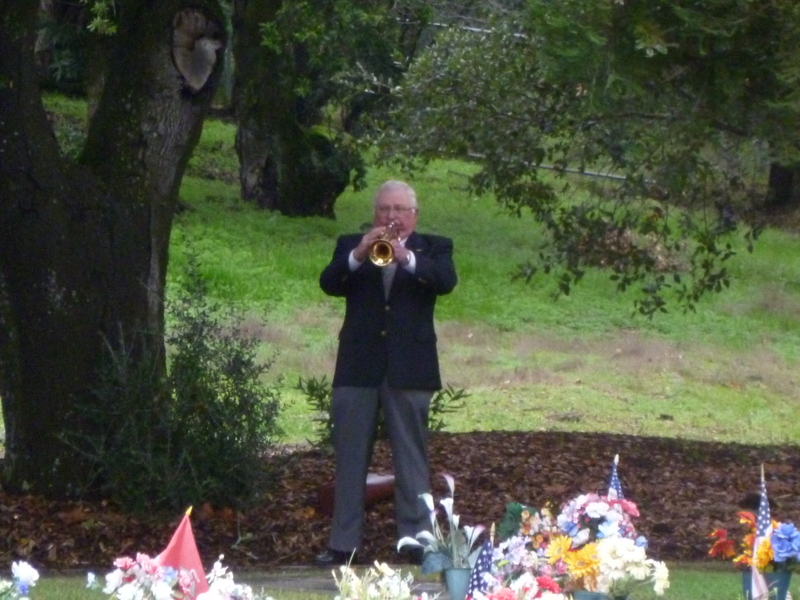 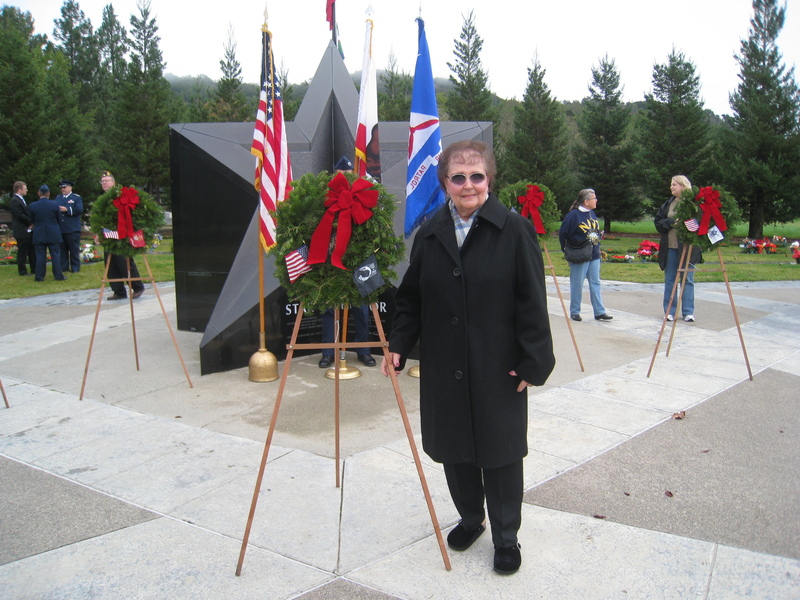 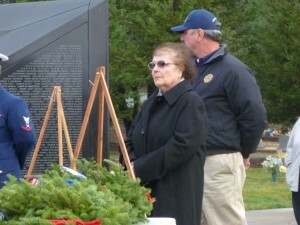 On Saturday December 11, 2010, Jean-Marie was the honorary POW/MIA wreath presenter at the Wreaths Across America ceremony at the Sonoma Veterans Memorial Park in Sonoma, CA . Each veterans cemetery receives seven commemorative wreaths – one for each branch of the U.S. military, plus the Merchant Marine and POW/MIA. Jean-Marie was asked again this year to be the honorary wreath bearer for the POW/MIA wreath. 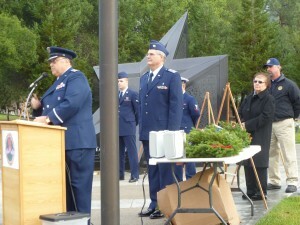 Jean-Marie laying a wreath for the POW/MIA veterans. 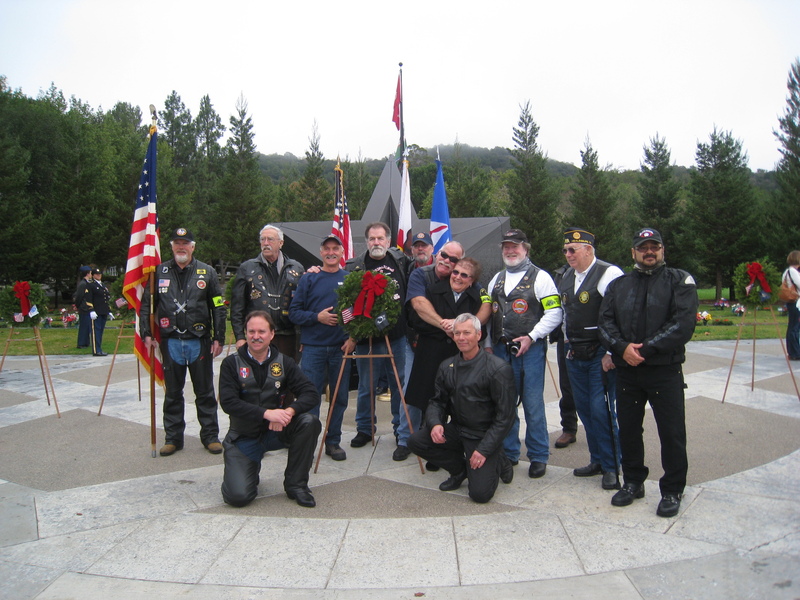 Jean-Marie with the Patriot Guard Riders. The Sonoma Wreaths Across America ceremony is coordinated by Civil Air Patrol Squadron 157 of Sonoma County Airport, Veterans of Foreign Wars Post 1943 and American Legion Post 489 of Sonoma. At precisely 9 a.m. there was a minute of silence observed at the Sonoma cemetery and all other participating locations nationwide. 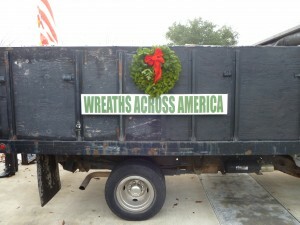 Earlier in the week, commemorative wreaths in honor of all veterans were laid at all 50 state capitols.